VETERANS’ DISABILITY BENEFITS: VA Can Better Ensure Unemployability Decisions Are Well Supported: Why GAO Did This Study VA generally provides Individual Unemployability benefits to disabled veterans of any age who are unable to maintain employment with earnings above the federal poverty guidelines due to service-connected disabilities. Because the population of veterans who receive these supplemental benefits has been growing, GAO was asked to review VA’s management of these benefits. This report (1) examines age-related trends in the population of Individual Unemployability beneficiaries and benefit payments; (2) assesses the procedures used for benefit decisionmaking; and (3) describes suggested options for revising the benefit. GAO analyzed fiscal year 2009 through 2013 data provided by VA—the most recent years available; reviewed applicable federal laws, regulations, and program policies; visited six regional offices selected for their differing accuracy rates, workload, and geography; reviewed a nongeneralizable sample of claims; and spoke with rating specialists, experts, and VSO representatives. GAO-15-464: Published: Jun 2, 2015. Publicly Released: Jul 2, 2015. The number of older veterans receiving Individual Unemployability benefits, a disability supplement, has been increasing, as has the total amount of benefit payments. In fiscal year 2013, 330,000 veterans received this benefit, which the Department of Veterans Affairs (VA) provides to disabled veterans of any age who are unemployable because of service-connected disabilities. From fiscal years 2009 through 2013, the most recent data available, there was a 22 percent increase in the number of veterans receiving these benefits, and a 73 percent increase in the subgroup of beneficiaries aged 65 and older. Moreover, among new beneficiaries in 2013, about 2,800 veterans were 75 and older, of which more than 400 were 90 and older. These trends have given rise to questions about what constitutes “unemployability.” Only a small proportion, 4 to 6 percent, of beneficiaries had benefits discontinued during these years—about 70 percent of which were due to the death of the beneficiary. During the 5-year study period, disability payments to those receiving Individual Unemployability—the base payment plus the supplement—increased by 30 percent (to $11 billion in fiscal year 2013). For that year, GAO estimated $5.2 billion for the supplement alone. VA’s procedures do not ensure that Individual Unemployability benefit decisions are well-supported. For example, contrary to federal internal control standards, the guidance on determining unemployability is incomplete for ensuring consistency. In discussion groups with GAO, VA’s rating specialists said they disagreed on the factors they need to consider when determining unemployability, weighed the same factors differently, and had difficulty separating allowable from non-allowable factors. Some specialists said these challenges create the risk that two raters could examine the same evidence and reach an opposite decision to approve or deny a claim. Also, VA’s quality assurance approach primarily checks the procedural accuracy of decisions and does not ensure a comprehensive assessment of whether decisions are complete, accurate, and consistent. In addition, VA does not independently verify self-reported earnings information supplied by applicants and beneficiaries, although the agency has access to Internal Revenue Service data for this purpose. VA officials said they are waiting for a data system, expected in 2016, to conduct verifications. However, by postponing verification of self-reported earnings, the benefit is at risk of being awarded to ineligible veterans. Based on a review of literature, GAO identified various options for revising eligibility requirements and the structure of the Individual Unemployability benefit. Six options focus on eligibility requirements, such as considering additional criteria when determining unemployability and applying an age cap of 65. The seventh option would change the benefit structure by reducing payments as beneficiaries earn income in excess of the poverty threshold. Experts and representatives of veterans service organizations (VSO) that GAO interviewed identified the potential strengths of each option (such as improved decision accuracy) and potential challenges (such as increased need for fiscal and administrative resources). 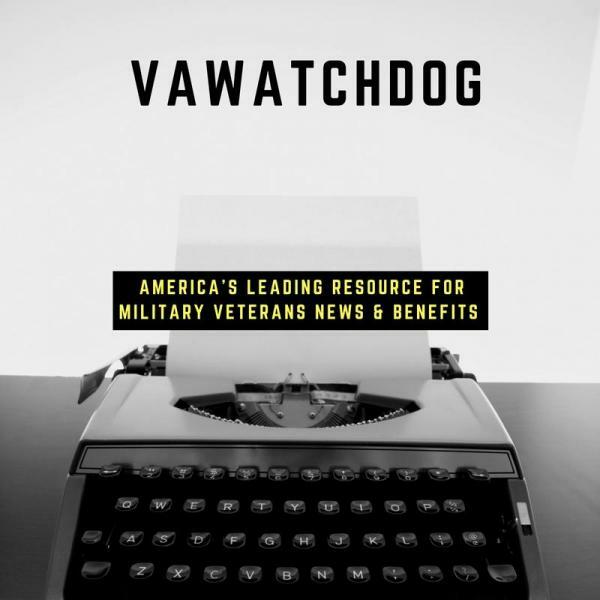 In addition, VA’s advisory committee recommended in 2012 that the agency study age and require vocational assessments when weighing veterans’ unemployability; VA agreed to study both, but has not yet taken action. VA generally provides Individual Unemployability benefits to disabled veterans of any age who are unable to maintain employment with earnings above the federal poverty guidelines due to service-connected disabilities. Because the population of veterans who receive these supplemental benefits has been growing, GAO was asked to review VA’s management of these benefits. This report (1) examines age-related trends in the population of Individual Unemployability beneficiaries and benefit payments; (2) assesses the procedures used for benefit decision-making; and (3) describes suggested options for revising the benefit. GAO analyzed fiscal year 2009 through 2013 data provided by VA—the most recent years available; reviewed applicable federal laws, regulations, and program policies; visited six regional offices selected for their differing accuracy rates, workload, and geography; reviewed a non-generalizable sample of claims; and spoke with rating specialists, experts, and VSO representatives. GAO recommends that VA issue updated guidance to determine eligibility; identify a comprehensive quality assurance approach to assess benefit decisions; verify veterans’ self-reported income; and move forward on studies suggested by its advisory committee. VA concurred with all of GAO’s recommendations. For more information, contact Daniel Bertoni, (202) 512-7215, bertonid@gao.gov.